Goals and Vision: Iron u channel and forged railing cap members for strength and mass. 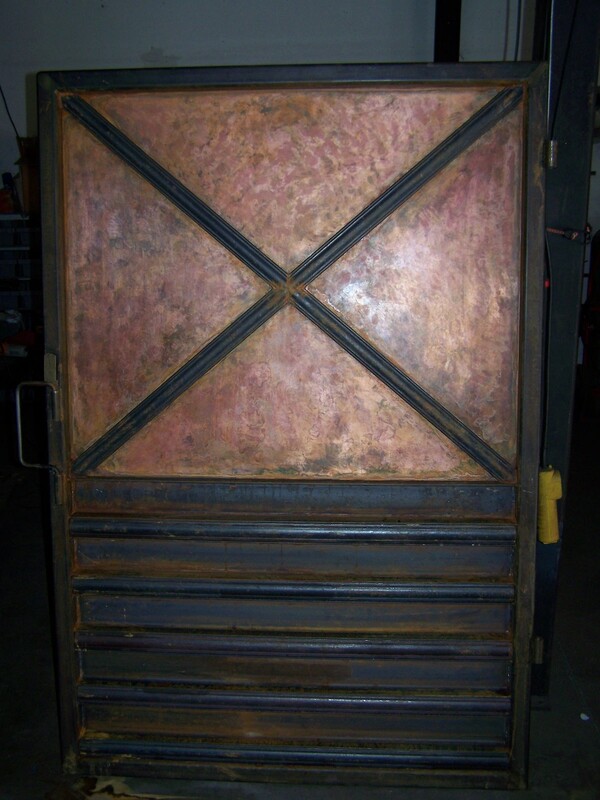 A carbon steel panel patinated in copper and aged. Power gate hinges. A bear would tear apart the building before this door. Specific challenges: Making a two movement latch the was light enough to easily open, but able to foil a bear’s attempt to open. Welcome to a few of my projects.